Big changes are happening in payments these days. Two are game changers: Blockchain for B2B payments and the RTP network for P2P payments. Both involve newer, faster rails for money movement. For years the payment card ecosystem in the United States has been fine-tuning its technology so that consumers can quickly pay merchants, banks and processors. Businesses, on the other hand, have had clunky tools for paying each other (especially across borders). And consumers had few ways to quickly swap digital payments. Now those lagging systems are catching up thanks to new money movement rails. Coindesk.com describes the B2B innovations like so, “Visa has rolled out the first, pilot phase of its blockchain-based business-to-business payments service, B2B Connect…Visa plans to use the platform to (streamline) cross-border payments by facilitating direct payments between institutions.” PYMNTS.com adds, “Visa’s solution uses distributed ledger technology that leverages Visa’s existing global network of issuers to create private, permissioned networks that digitize the assets issued by members of that network.” In other words, shared secure real-time cloud banking will soon be available to businesses globally. Adios paper checks. At the same time, new real-time money movement networks are emerging for Person-to-Person (P2P) payments. The Clearing House, a business founded in 1974 primarily to process checks between institutions, never really broke the overnight speed barrier. Now, as PYMTS.com reports, “RTP, the name for a new “Real-Time Payments” system set up by The Clearing House…is up and running.” ACI Worldwide and the Zelle Network has also recently tested a real-time P2P solution, and Apple has a slick new P2P payment feature in iOS 11. Now money can move between people (via their banks) in mere seconds. You can get paid back for that pizza. Clearly the U.S. is catching up the world, which has decades of experience with cross-border and P2P money movement. All this gives businesses and consumers more payment choices – rather than keeping all the options in the control of institutions who’d rather hold money overnight. 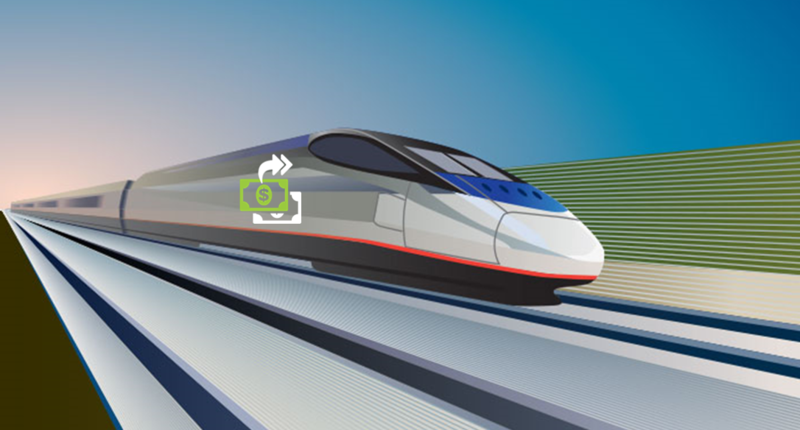 For the time being, money will still move along rails controlled by card issuers, processors and other intermediaries, but at least it will happen much faster. Plus, with all the changes speeding into view, one can now see a future where traditional card networks and their many hangers-on are disintermediated. Imagine paying quickly and efficiently without interchange fees flying in every direction! New high-speed rails are making it happen. As we near the end of 2017, many publicly-held companies will be examining budget usage against performance. At this time of year, Marketing leaders often become concerned that their unused budget will be pulled back to improve year-end financials – and not reallocated the following year. It’s “use it or lose it” time. Are there goals on your 2017 plan that have not progressed sufficiently? It’s time to jump-start those and show significant progress by fourth quarter so you’ll have a case for keeping (or even expanding) that budget. Consider bringing me in as a consultant to partner with your teams. I’ll get stalled projects back in motion – and do some of the heavy-lifting that no one has had time for. Coordinating between business unit marketing teams for maximum year-end data integration. Dear Marketing Leaders, call me today (before your consulting budget gets frozen) and together we’ll make sure you gain ground rather than lose budget. Let’s make it happen! How many times have you heard the word “silos” at work? As in, “They’re in their own silo,” or “This company has too many silos.” If that’s a common term, mostly likely your company has grown through acquisition. Then the enterprise didn’t do a complete job of wresting control into corporate shared services like Marketing, HR, and Legal. The acquired business units just kept doing things their way, sometimes to the point of keeping their previous brand alive. In these cases, the “brand police” can try to monitor and enforce overt violations. But what about things like “tone” and “message”… is it okay to let the business units talk to their target markets their way? Yes and no. 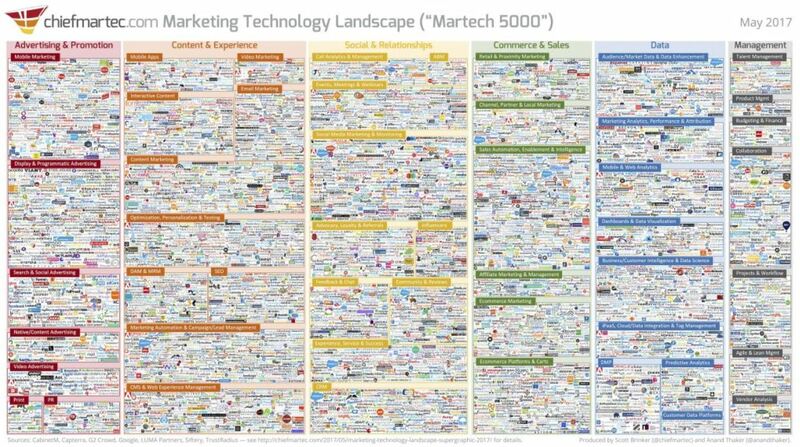 Yes, the marketing/sales techniques used to reach key segments should be highly targeted. But no, the tone of marketing messages should reinforce the official corporate brand and voice. Otherwise brand integrity becomes diluted, and customers become confused. Time to bring out the sticks and carrots. First, make sure your shared service marketing groups are not actually fulfilling the off-brand materials for the business units. It’s not unusual for Digital or Creative Services to get a work request and just do it. If an audit proves that’s happening, offer assistance. Also make sure the business units are not working with outside agencies who don’t comply to the brand guidelines – maybe even hosting assets on outside servers. Again, offer to help them integrate. But what can be done if compliance doesn’t come? Slowing or stopping their corporate services will just create more of the behavior – maybe even give them justification for building out their rouge marketing teams. The answer has to come from the top. Corporate executives must align and agree – then sponsor change management. They might use carrots and sticks, but the message must be clear, “We are one company. Get it together.” When silos collapse at the top levels, they crumble down through the organization. So if your company has too many silos – and you see opportunities – communicate up. You might get some carrots. The longer I navigate large B2B companies, the more I observe the same marketing projects being kicked-off over and over again. New people come in looking for something to champion within that magical first ninety days. After identifying an area of opportunity – say a shortage of buyer personas – the next step is to form a task force and kick off with a large helping of goal-setting, resource-finding and timeline-plotting. But then schedules and priorities get in the way, and it can take weeks, perhaps months, to learn that the files from a similar effort two years ago have been sitting on the server. Now I’m not saying that such kick-off zeal is misplaced. I’ve done it myself many times in an effort to show value. I’m just sayin’ that it’s advantageous to work backwards and forwards. After all, building on the shoulders of giants (even if they are co-workers) gives you a better view. So look for previous work (maybe product managers have created user personas) and review previous research (many companies do customer experience surveys). Mine your CRM and marketing automation systems to see what they can tell you via activity histories. THEN, start working forward. Consider internal and external interviews, explicit home-page surveys, and implicit activity-based persona building. Perhaps your inside sales team, customer support group or IVR system can gather useful information. Why not include the people who ran the last project? As you think backwards and forwards, don’t forget to ask yourself how your work will be most useful. Can you deliver the concepts to the right people right when they need it? Will your personas constantly inform content writers, media buyers, event managers and campaign leaders as they do their work? Not if they’re sitting on a server somewhere. So look before you leap. By demonstrating an ability to synthesize and build on institutional knowledge you will improve your project’s effectiveness and your own reputation. Plus, as I like to point out, “you need to have something to say” – good content ready to address key buyer personas and resonate with your ideal customers. And a corporate “point of view” that makes your interpretation that much more valuable. In other words, it all has to come together. The data must clearly define key segments, the content must speak to them, and the technology must be configured to orchestrate the relationship. Not as easy as “plug-and-play,” but worth it once the it does all start working together. Then the marketing-to-sales funnel will fill with qualified leads and continuous opportunities for satisfying customers. No paradox there. 51% consider Mobile applications a top strategic priority, but only 18% see Marketing Automation as an area needing attention. Wait…what? If data-driven insights are so critical, why prioritize hard-to-measure concepts like Strategic Thinking? Why not improve usage of the Marketing Automation tools that will enable data collection, analysis, and digital targeting? Maybe because Marketing people are often distracted by the next bright shiny object. As this infographic reveals between the lines, we Marketing leaders should listen to ourselves. Digital marketing got us a seat at the table, now let’s focus on serving up some good data.